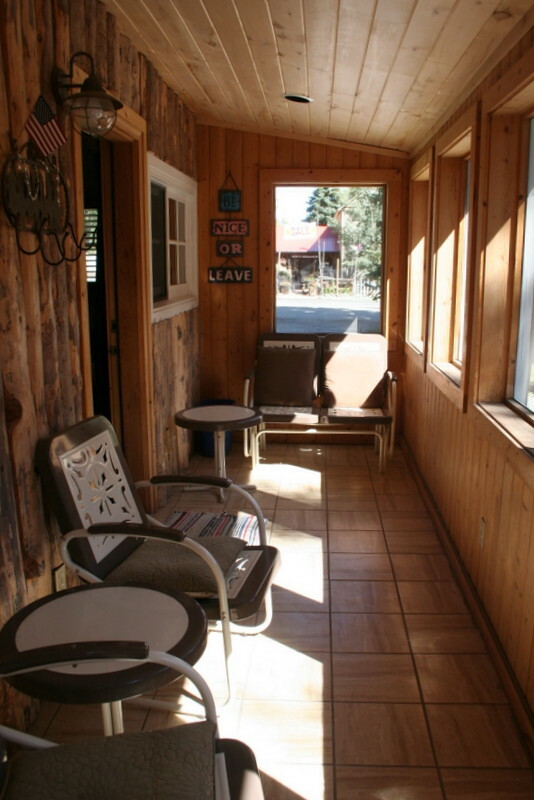 G&M Cabins are centrally located in downtown Lake City, within easy walking distance of the many fine shops, restaurants and attractions Lake City has to offer. 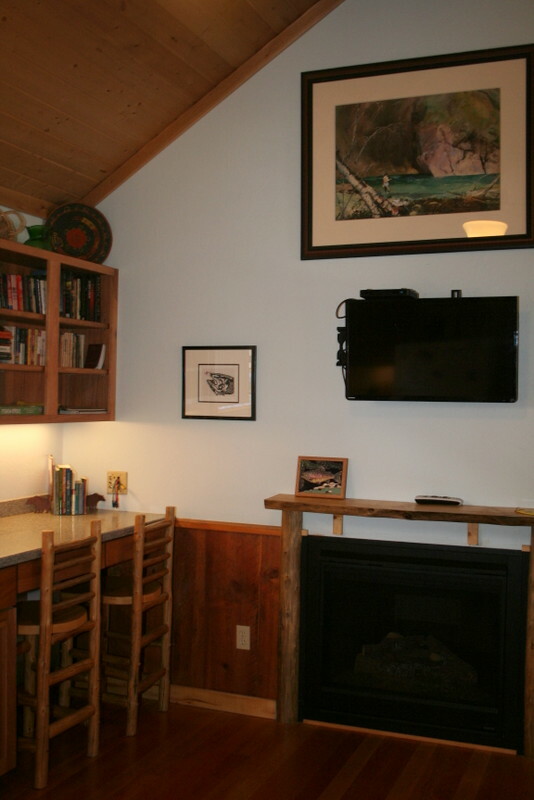 Our cabins are fully equipped with kitchens, 1 or 2 bedrooms, private baths and Direct TV with HD programming. FREE WI-FI. All cabins have a full size refrigerator, microwave, stove, coffee maker, toaster, pots and pans, dishes, eating utensils, and bed and bath linens. Each cabin is individually owned so they are unique in the way they are decorated. Some have hand-crafted lodge pole furniture and screened porches. There are also outdoor picnic tables, charcoal grills, and shady sitting areas. All cabins are non smoking of any kind, including screened porches, sitting areas adjacent to cabins. The grounds are well landscaped with on-site management. Our larger cabins are spacious and have plenty of room for the whole family. 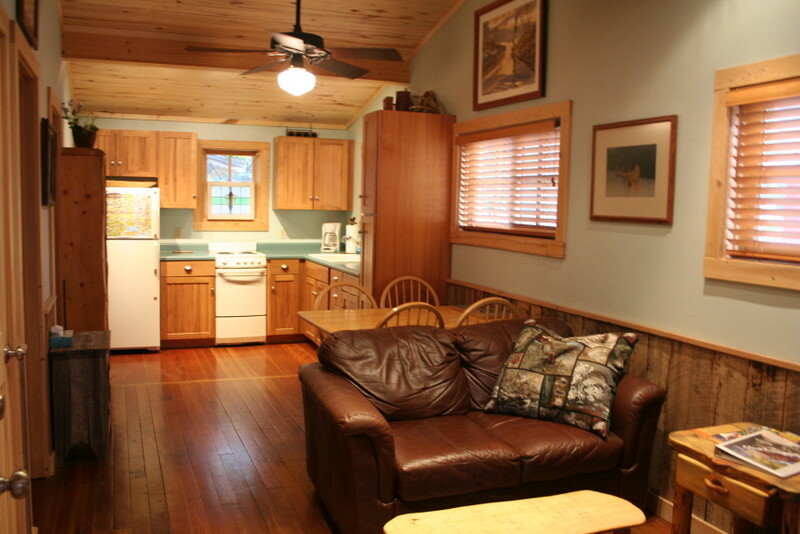 Our one bedroom cabins are perfect for your Lake City getaway. Not even sure that rustic is the right word here. We stayed in Cabin #3, which was very clean, roomy, and nicely appointed with wildlife art and mountain scenes. This cabin also featured a gas fireplace that was operated with a remote control. Location couldn't be better, right in the center of town along the highway. We are here at the end of October, so the mornings are chilly, but the cabin is nothing but toasty. Last evening we returned after dark and found a 10 point buck resting outside the cabin, He didn't seem to mind when we walked by him to get inside. This is our second visit here - both were excellent. 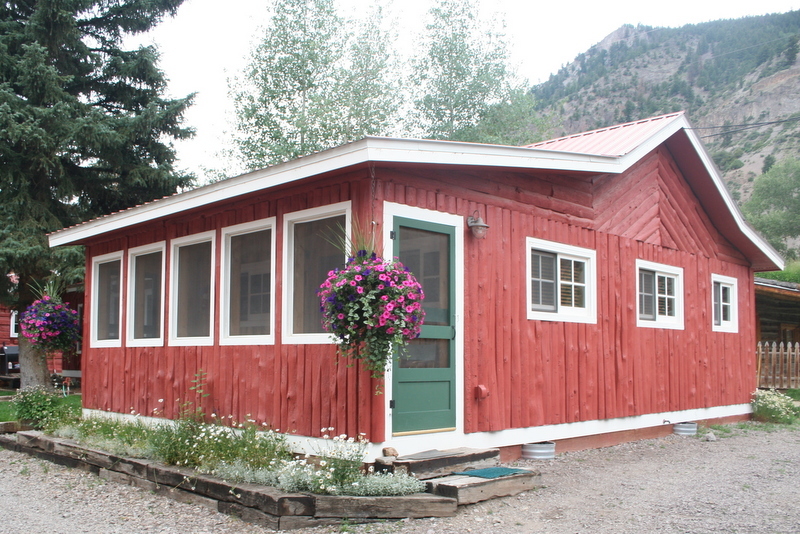 Rented Cabin 11 which was very clean and comfortable and the owner, Jacqui, was super nice and easy to work with. 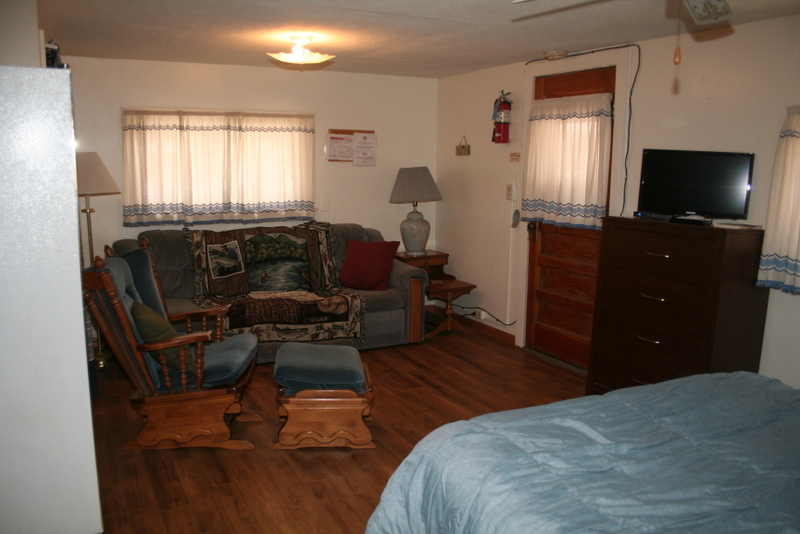 Located right in the center of Lake City where you can walk to everything you need. After spending our days riding our dirt bikes around the Alpine Loop, the comfort was much appreciated. Looking forward to a return visit next year. G and M Cabins are right off the main street through Lake City yet very quiet. They are well furnished and decorated and have great cooking facilities. We were so pleasantly surprised and will return next summer. Our cabin was spotlessly cleaned and had a screened in porch and gas fireplace. The owner or woman who helped me with my reservation tried very hard to get us accommodated and made some changes so we could stay longer. 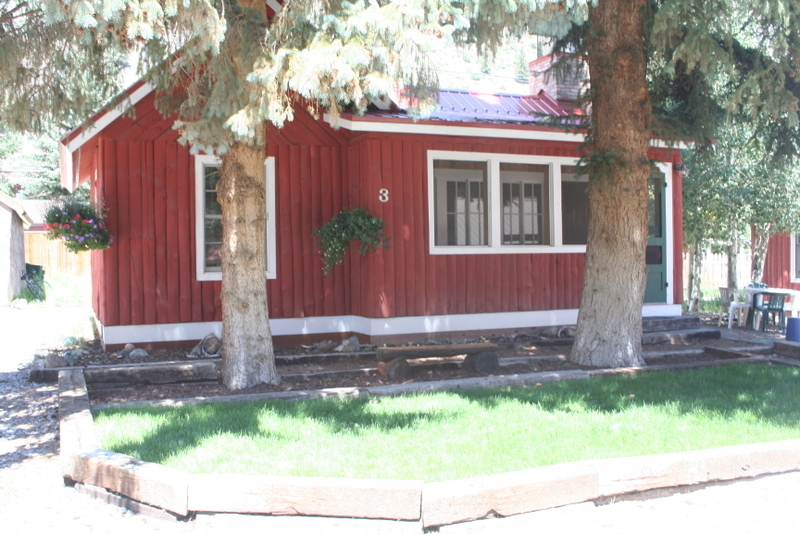 It is absolutely our go to place for the whole area around Lake City, CO. Thanks, G and M! COPYRIGHT© G&M Cabins. Site Design by Lake City Computer Solutions. ALL RIGHTS RESERVED.